Internships fulfilled between summer before Senior Year and third quarter of Senior Year are requirements of both Stagecraft/Design and VCA majors. All internships must be approved by your department and a contract must be signed prior to beginning your internship. If you begin your internship without an approval and a signed contract, you are in danger of having those hours not count. All interns will attend scheduled internship hours as well as class hours – unless previous arrangements with DSA teachers and internship sponsors have been made. All interns will keep a daily internship journal of reflections from the day’s work to be turned in to Alisha Godette at the completion of the internship. Some prompt questions are: What did I do today? Did I learn anything? Was it a good day or a bad day? What’s my supervisor’s management style? Is there anything that frustrates me in this internship? What have I learned about myself during this internship? Am I doing a good job and meeting my supervisor’s expectations? Is this internship meeting my expectations? How has your work or experience changed through the internship? 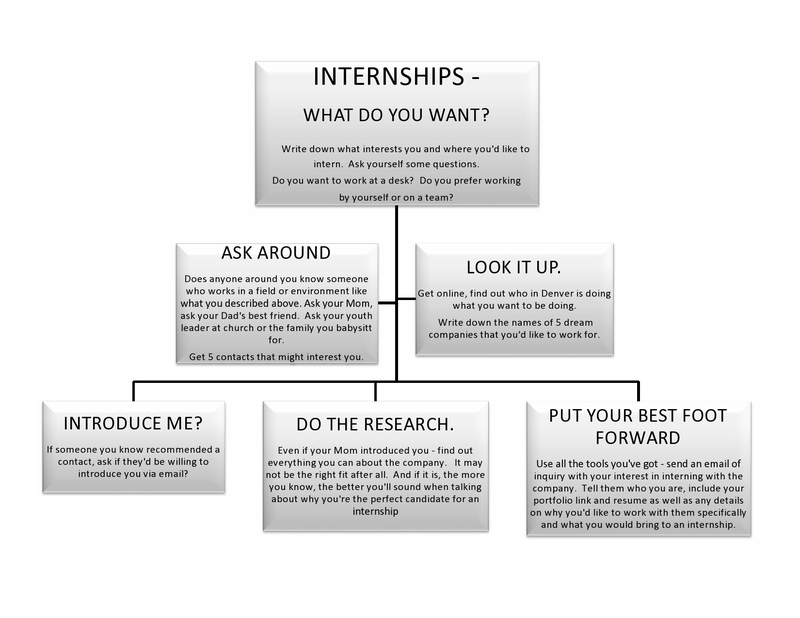 Include 500 word summary of your internship for your electronic portfolio – this summary should include information about where your internship was and what it entailed as well as how your prior experiences prepared you (or didn’t) for this internship and how the internship has prepared you (or hasn’t!) for your future. At the end of your internship, make sure to ask your internship supervisor for a letter of recommendation! This can be very useful for college applications and future job applications! Internships will be regularly posted on the homepage of this blog and will be updated weekly. Below is a list of internships that you may be interested in. Search Volunteermatch.org for volunteer opportunities that can be done as an internship. Goodwill Student Resource Blog www.goodwillrocks.blogspot.com. Curious Theatre Company is accepting internships in the area of tech theatre. Please contact John at John@curioustheatre.org For more information, check out their website. 1 Million Cups, an entrepreneurship meet up group is looking for interns to help promote the group and their members. Interns will perform in a number of ways much like a grassroots street team with opportunities for graphic design, social media, marketing. This internship requires a highly motivated individual who excels in self-discipline and is interested in working with small start-up businesses.